The City of Varn is an Adult sim and Gorean roleplay area. Only those over the legal age of adulthood using adult human avatars are allowed to roleplay here and you should be aware that mature scenarios of a sexual and violent nature may take place. All roleplay is consensual and, therefore, it is your responsibility to remove yourself from any scenario which you may find offensive. 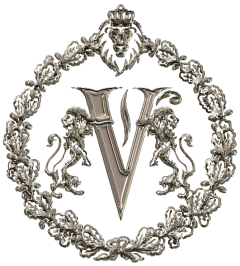 Those not wishing to participate in roleplay should wear an Observer Tag as, otherwise, they will be considered in character and subject to the rules of the City of Varn. If you are an Observer, you should not interfere in ongoing roleplay or your status as an observer will be voided. *** Please complete an application form if you wish to become a resident. Applications Forms can be found on the cabinet at the landing zone, just under the picture player. Rooms and housing are available for rent to resident role players. As housing is limited only players that are on as consistent players will be allowed to rent. If you become ill or are away please let us know otherwise if we don’t see you role playing on the sim and being an active member you may be asked to give up your rental unit if there are players waiting for availability. Special accommodations have been made for Heads of Caste. Head of Caste is a nominated position by the IC High Council and OOC Board. All disputes should be referred to a Board member, listed at the end of this document. Gorean social life is structured around a rigid caste system to which most if not all Goreans belong. Residents should apply to either Master Ember or Kreg Ember Skytower. If neither are available report to the head of the particular caste you wish to join or form a new caste. Free women should conduct themselves with the decorum expected of a Gorean free woman or risk being captured and collared. Granting manumission to a slave and giving them all the rights of a Free person to roleplay in the city of Varn must be approved by the High Council of Varn. If a Master releases a slave, that slave remains an unowned slave; the slave is not automatically a free person upon release. Gorean Meter (GM) meter is required. No meter resetting without moderator permission. Dock landing is a 10 minute safe zone. OOC Room is a safe zone as long as you are in it. You are out of play for the remainder of the raid however. Posts are a minimum of 10 words each. Kurii – Allowed upon approval of the board. Tarns – Allowed. Must be metered. If killed, another one may not be brought into play for fifteen minutes. Rescue – One hour from time of capture. Ratio – 2:1 – Ratio to all active players on ground level. Captives do not count. Scout ahead. Grapples – 3 emotes [SHOUTED]. Grapple Cut – 1 emote [SHOUTED]. Ladders – 1 emote dragging from docks, 3 emotes to place it. YOU CANNOT FIGHT WHILE CARRYING A LADDER. Aiding – Allowed with 3 emotes. Binding – Three separate emotes. Disarming – One descriptive post (and each weapon must be named). Unbinding – Three separate emotes. Rolling in binds – Not allowed. Hogties – Four separate emotes. Self-Unbinding – Five separate emotes after ten minutes of being bound (but not possible from a hogtie). Stealing Keys – One descriptive emote. Fighting Slaves – During combat, slaves can use slingshots and rocks at normal damage as well as other recognized slave weapons. Slaves with fighting permits may carry and use a bow. Combat training is required before a permit is issued. Slaves are allowed to bind and drag other slaves only, unless given direct orders otherwise by a Free. Lockpicking – Three separate full emotes and you must wait out the two minutes timer. Entry/Exit – Entry into and out of the sim for raiders is only on the ship in the docks or on a metered tarn. Sailing – Departing the sim under fire requires an emote. All sailing must be done from the ship at the Varn dock. If a captive is taken from a raid, he/she must be included in the sail or they are deemed not to have been taken. No posting a sail and then continuing to fight or returning to the current battle. To do so is an auto-cap. Capture – Starts from the sail time. (If you are raiding and get caught, your time starts from the last person of your raid group having sailed which we promise to be done within fifteen minutes of the end of the raid and the RPer that will RP your capture will message you when the time starts). Captures are property and subject to local laws. Judgment and punishment will be carried out locally and captures are to be validated by the ranking Red Caste official. Captivity lasts a maximum of three days and, at its expiry, should be roleplayed out. Legitimate escape from capture may also be roleplayed but must be reasonable and should be documented to the captor. Captives may not be taken to non-Gorean sims. In such cases, captives are free to TP back to Gor. Any person or slave from Varn cannot be permanently collared, or forced into servitude by captors for more than three days. 45% Damage Weapons – Allowed. The Gorean Meter (GM) must be worn at all times. A meter can be obtained from ship at the docks. Any enhancements to combat which give an unfair advantage such as speed enhancements or enhanced weapons, including the Bitter Thorn script, will result in ejection or a ban. Only weapons already worn and visible before combat is initiated may be used in combat. Using more than one weapon at a time to deal double damage is not permitted. Slaves can be killed or captured at any time and compensation for such should be negotiated between owner and captor or High Council or City Magistrate. Should ANY situation arise that a slave or free person is not comfortable with, including killing, damaging, etc…, the person’s OOC roleplay rights will overrule ANY rule and allow him or her to refuse the roleplay. REVISION April 17, 2017 – Added OOC RP rights overrule any rule. Added compensation to include High Council and Magistrate. As rental units are limited they are reserved for active role players in the city of Varn. Rentals are for a max of 2 weeks at a time. This is so people cannot rent a unit for a long period of time and not use it or role play within the city leaving those who are active without homes. I hope you understand this reasoning. There are units of differing levels of prim allowance so people with differing levels of Linden $ availability can get something within their budget. You can go down in prims reducing your rental amount but you cannot go up in prims without approval from the Varn OOC Board for specific reasons. Look within the city for rental units. Most are on the outer edges of the sim. If the unit is available, there will be a small rental box on the floor just inside the rental unit. Look at the unit and think of whether it is appropriate for the caste you are role playing in. This will be considered for the release of the unit to be rented. Make note of the number and include it with your inquiry to Master Ember regarding renting. The apartment will be released from hold and you will pay the box for the rental unit initially to rent it. It is up to the Renter to kept rental up to date. No notice of termination will be sent.